Mattel is going to be bringing ‘Batman v Superman’ toys to Comic-Con this year. According to USA Today, Mattel has a new Barbie line coming in the spring, and at their booth the company is showcasing a doll based on actress Gal Gadot’s Wonder Woman from Dawn of Justice. 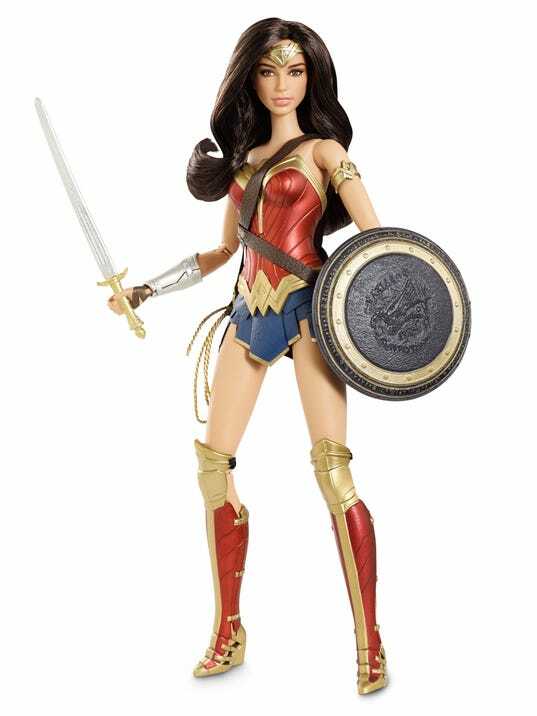 Standing 12 inches tall and featuring a sword, shield, tiara, bulletproof bracelets and her signature lasso of truth, Wonder Woman is part of the Barbie movie collection along with Superman and Batman. Mattel’s booth will also be showing a life-sized Hot Wheels build of a Batman v Superman Twin Mill car. A die-cast toy version of the vehicle will be on sale in the spring as part of a movie-inspired Hot Wheels line. Mattel is selling a movie-inspired BvS two-pack ($30) with the likeness of Henry Cavill’s Superman and Ben Affleck’s Batman. Each of the 6-inch-tall figures comes with fabric capes, display bases that combine to form the film’s iconic logo, and lights-and-sounds packaging teasing one of the big moments from the upcoming movie. What do you think about this new line? You know I’m a super nerd, so I’m loving that Wonder Woman Barbie! Previous PostMy Little Pony ~ 2015 SDCC Exclusive? MLP FairNext PostEver After High Fall 2015/Spring 2016 Lineup! Any idea which other comic book heroines Mattel will be producing?